Impacts to Eros slowly and continually modify the appearance of the asteroid's surface. 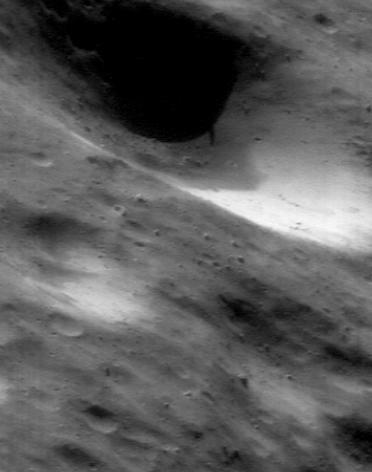 This NEAR Shoemaker image taken July 23, 2000, from an orbital altitude of 38 kilometers (24 miles), shows the effects around a crater that is nearly a mile (1.6 kilometers) across. 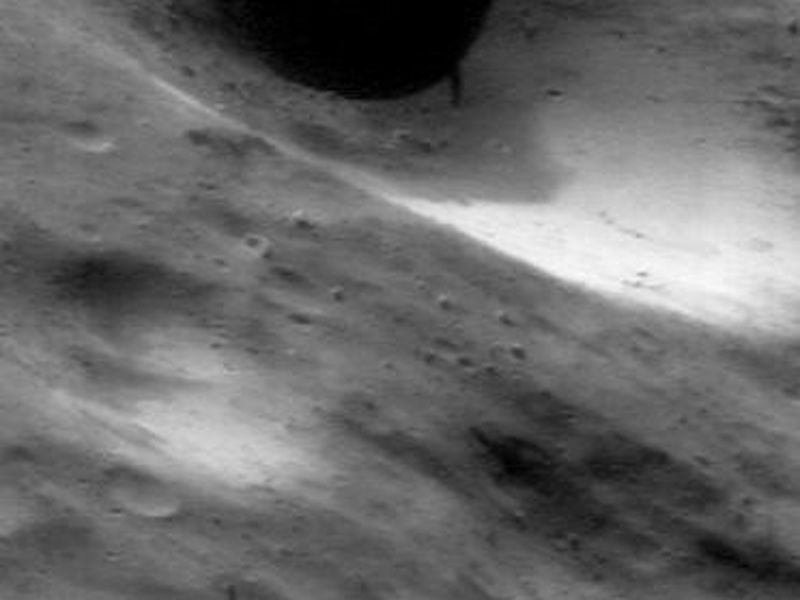 An impact excavated a huge gouge, and caused some of the excavated material to form a thin cover on parts of Eros. The fastest-moving fraction of the crater's ejecta (traveling at more than several meters per second) escaped Eros, whereas slower-moving material eventually returned to the surface. 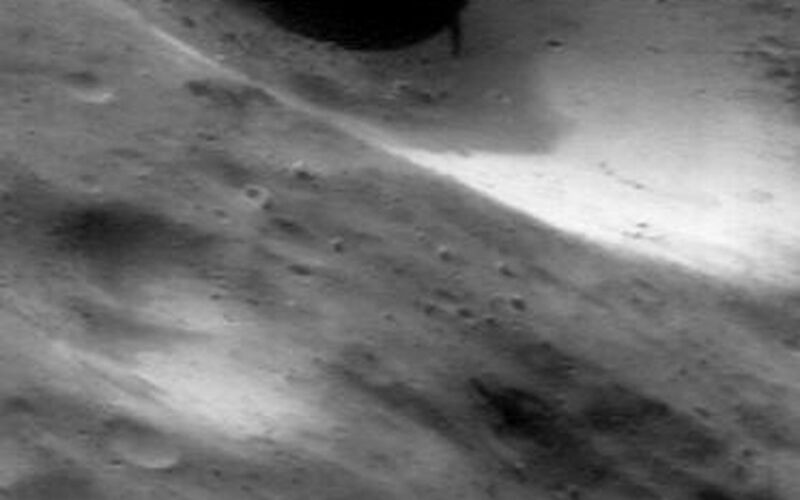 The boulders in the foreground, about 15 meters (50 feet) across, are typical of the largest pieces in a crater's ejecta. 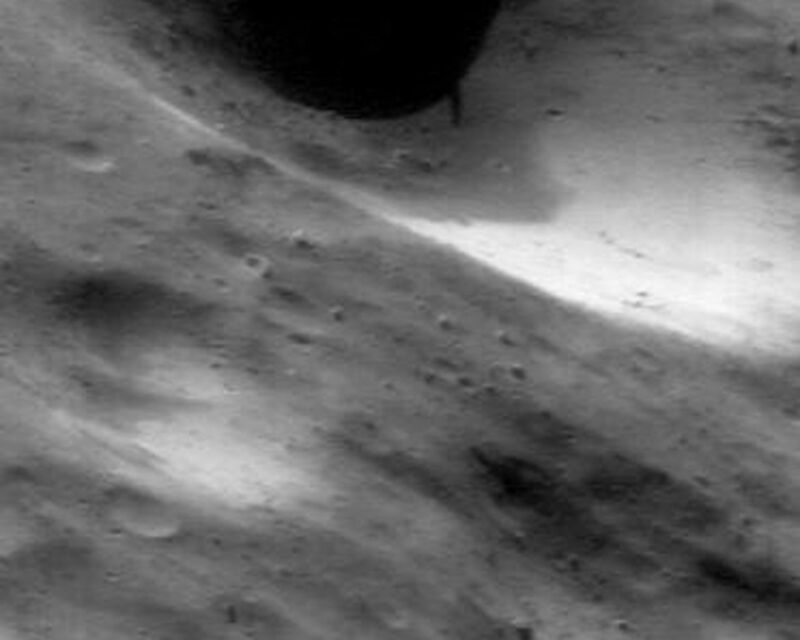 Over time the surface layer slid off the crater's walls to expose brighter material from below, which has not yet been darkened by space weathering. The picture shows a region about 1 kilometer (0.6 miles) across.